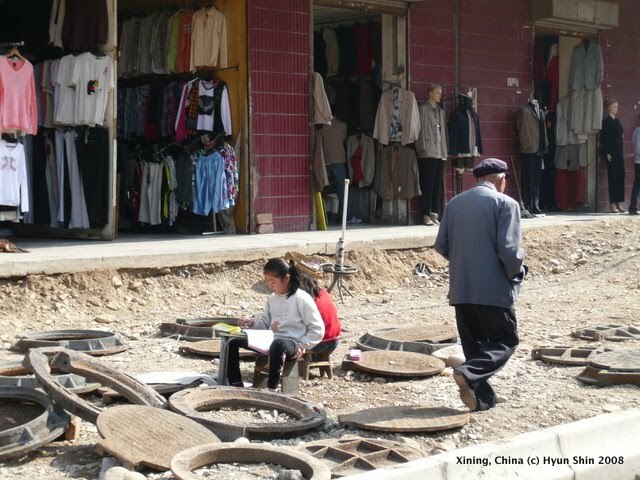 Xining is the provincial capital of Qinghai province in western China. Located at an high altitude (about 2,200 metres above sea level), the city is one of the most populous cities in the western region, having about 2.2 million residents by 2010. I had a chance to stay there for about one week as part of my field research in September 2008. Among the many aspects of the city that caught my eyes during my stay, it was very interesting to see people of all ages and gender doing what appears to be a routine morning dancing exercise. Rotating a series of gestures and going around slowly in a circle, they all seemed to be quite well accustomed to the beats and melody, while not a single persons seemed to be hesistant about their moves. 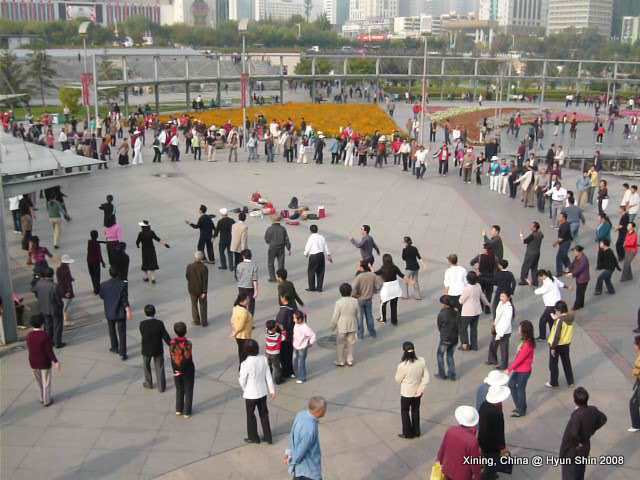 I understand Chinese people are often seen early in the morning or (if in summer) late in the evening, indulging themselves in various group exercises such as Tai Chi and quite often, classic waltz, and I have seen many with my own eyes, but not to this scale. The entire plaza was filled with a number of small circles, repeating the same dance moves, and this was at around 8.30 am in the morning. It was actually quite enjoyable watching them, and made me feel like dancing (though didn’t have the nerve to join in…). The plaza was one of the results of the city’s urban redevelopment projects in order to change the look of the city and attract more tourists, and apparently, the local citizens were ready to ‘occupy’ the space and spell out their own way of appropriating urban space.